We are screening your “ALL TIME” favorite Films. 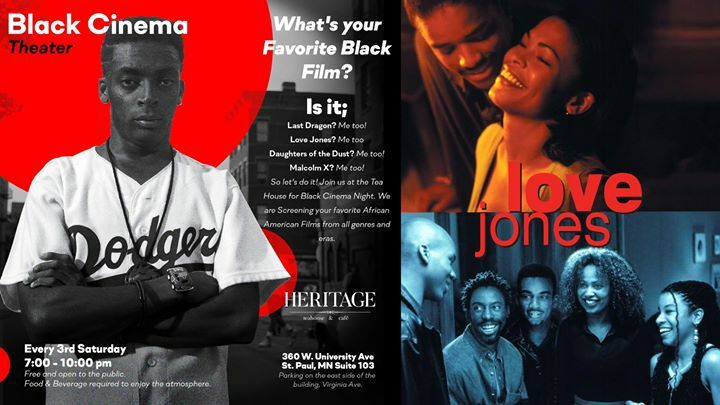 Join us every 3rd Saturday of the month for Black Cinema at the #TeaHouse. Films that you grew up on loving, films that you always wanted to see. We got them all. We are celebrating black cinema and the art we create as people. This is a family-friendly event; Please check films schedule to ensure age appropriate for children. Everyone is welcomed, and this event is free. A purchase from Heritage Tea House Boutique is required to enjoy the night.